Travis Markes is the lead pastor at Blanchard First. Travis and his wife Erin have three girls Rebekah, Hannah and Leah. Travis is a native of Oklahoma. He has been in the ministry for over 22 years serving in different churches and various positions. He holds a Master's Degree in Theological Studies from Southwestern Baptist Theological Seminary as well as a bachelors degree from Oklahoma Baptist University. 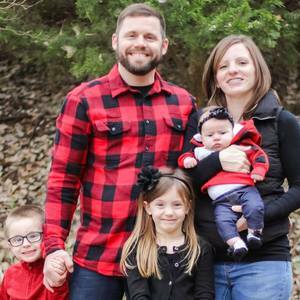 Jason joined FBC Blanchard as our Worship Pastor in August of 2018. Jason and his wife Mistie have three children Charlotte, Elijah, and Josie. Jason is a native of Oklahoma and has been in the ministry for over 10 years serving in different churches and various positions. Jason holds a Bachelor's Degree in Church Music from Oklahoma Baptist University. As a young girl in Pittsburg Kansas, Paula was first introduced to Jesus Christ through an invitation of a close family friend, to attend Vacation Bible School at a little white church just outside of town. Her parents, not church attendees at the time, agreed to let her attend. This was not a chance encounter, it was a divine appointment. Her desire to learn more about Him burned deep within. Even after a move to Oklahoma, Paula was persistent about going to church as a family. Eventually, the persistence paid off and the family began to attend a church in OKC. God used Sunday School Teacher’s & other Christian families to teach Paula of His unfailing love for her. Finally, on a Wednesday night in May, at the age of 10, she began her personal relationship with her Heavenly Father. What began several years prior as an “introduction”, ended up leading to a life-long relationship with the Savoir. Paula has spent a good part of her life pointing children to Jesus through local Churches and Christian Education Centers. 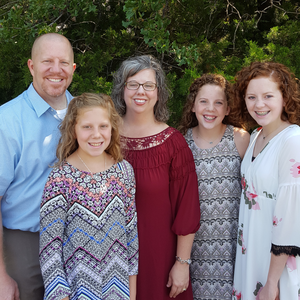 Before coming to First Baptist Church – Blanchard, Paula started a Weekday Early Education Program called Joyful Noise at First Baptist Church in Newcastle, OK and also served as the Children’s Ministry Director at a church plant of FBC Newcastle. She was the Children’s Activity Coordinator at Pleasant Hill Baptist Church, Blanchard from 1998-2005. She was also a Kindergarten Teacher from 1995 - 1997 at a Christian school in Moore, OK. Paula also currently serves as an officer for the Oklahoma Church Weekday Education Association. 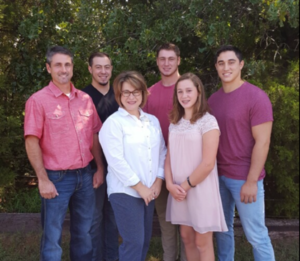 Paula and her husband Charles have lived in Blanchard since 1997 and have four children; Jacob, Kegan, Brant, and Allie. Her love for her own children and Children’s Ministry is a product of her childhood experience and her current relationship with Jesus. Deuteronomy 6:5-7 "You shall love the Lord your God with all your heart, with all your soul, and with all your strength. And these…shall you teach diligently to your children, and shall talk of them when you sit in your house, when you walk by the way, when you lie down and when you rise up."